Blush: the trendiest and hippest color on the block. It's fun to wear, easy to pair with pieces in our wardrobe and it just makes us happy. Let's face it, every time we see pink, it makes us giggle with excitement. 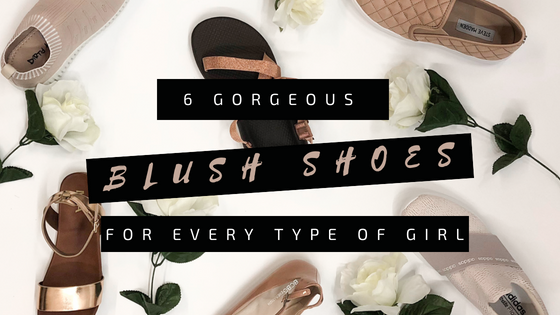 That's why you should check out the blush shoes we have hand-picked just for you. They are all available at Rogan's Shoes, so go ahead and pick your favorite one. If you can't just choose one and buy all of them, no worries. It will be our little secret. 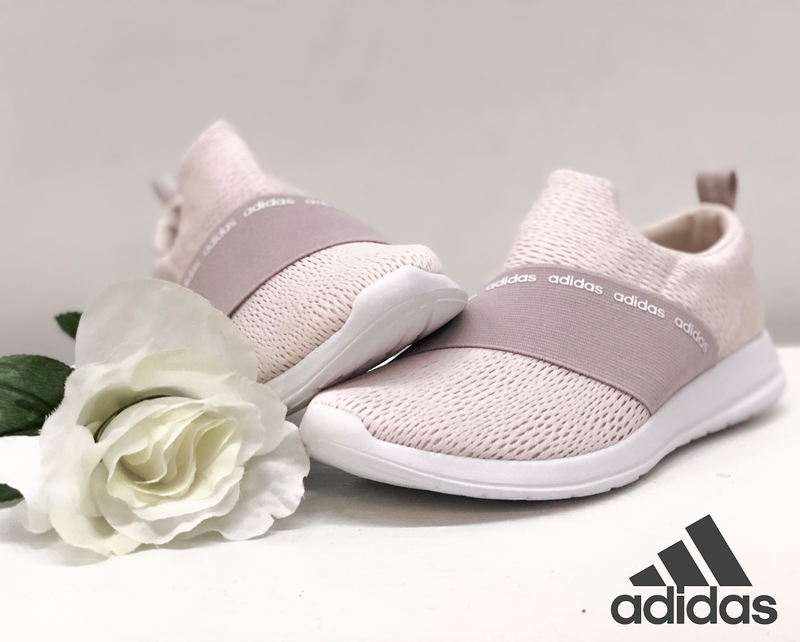 If you're the type of girl that likes to go on a jog fashionably, then the blush Adidas Cf Refine Adapt Running Shoes are the perfect match for you. Kick on these shoes for an extra dose of style on your late afternoon run. If you're more of a morning runner, go ahead and keep them on after your run to wear around the house because the cloudfoam, an ultra-lightweight cushioning material, will provide comfort all day long. Fashion-forward and chic: the two best words to describe the BCBGeneration Malinda Casual Dress Shoes. 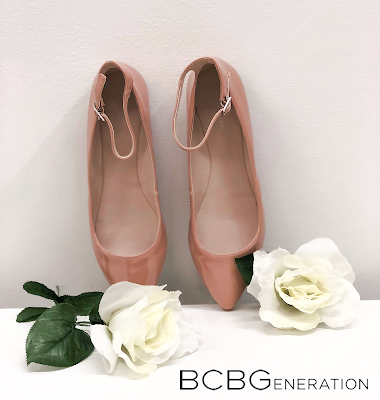 Available in blush, these ballet flats are for the girly-girl who loves looking pretty in pink! You can pair these shoes with almost anything including a floral-printed dress to wear on your lunch date or relaxed business attire to ace the interview for your dream job. Being comfortable is always a top priority for important events, so the shoe provides a lightly cushioned footbed to keep you going throughout the day. Whether you're hiking up the tallest mountain or riding your bike through the rugged trails, the Chaco Z Cloud Outdoor Sandals will not disappoint you. 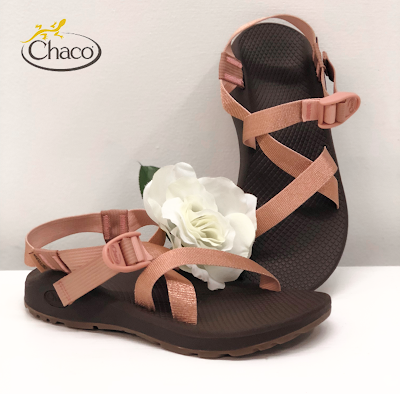 With the high-performing ChacoGrip rubber outsole and the sparkly blush adjustable straps, these are the shoes you have come to know and love. Fashionable yet sturdy, these shoes will take you anywhere. One more thing that you can't forget: you don't want to miss out on those Chaco tan lines! The Dirty Laundry Haywood Life Style shoes are for the girl that needs a shoe for every day wear. Running late to catch the bus? Looking for some all-day comfort while you go shopping? No problem! These shoes are not only trendy, but they also provide durability and comfort for any life event. An extra perk that comes along with these shoes is the rear pull tab which makes slipping them on easy and quick! Warm weather is at its peak and that means it's sandal time! If you're the type of girl who lives for warm weather and tropical paradise, you're in luck. 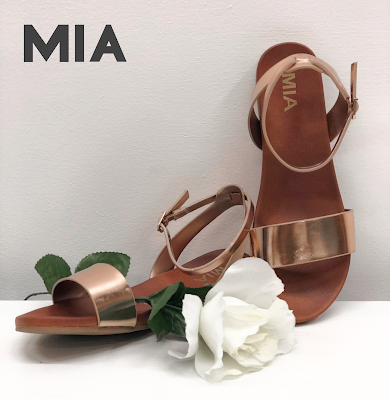 The Mia Brandi Sandals are the must-have blush sandal for Summer 2018. With a lightly-cushioned footbed and supportive heel cup, these sandals will get the job done. Wear them to the downtown smoothie shop, the local beach or a night out on the town. Either way, the blush-colored sandals will have your back. Look sporty and all-around edgy in the workplace or on-the-go in the blush Steve Madden Ecentrcq Life Style Shoes. These shoes are a fashion-forward woman's dream. Dress them up with skinny jeans and a blouse to wear on the clock or dress them down with jean shorts and a basic tee. 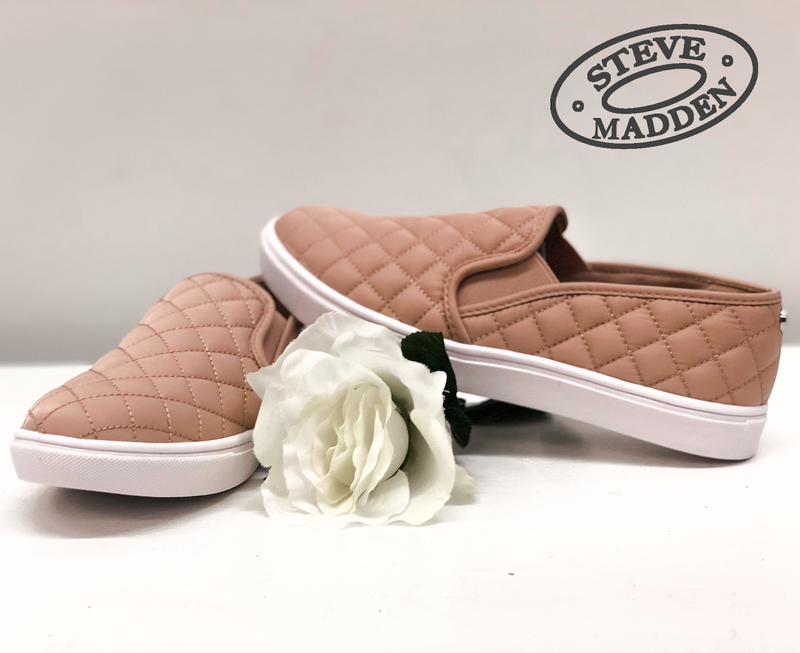 The neutral-color and simple style of these shoes allow you to wear them with almost anything, making them the ultimate pair of shoes. What is your favorite blush shoe? Let us know in the comments below! 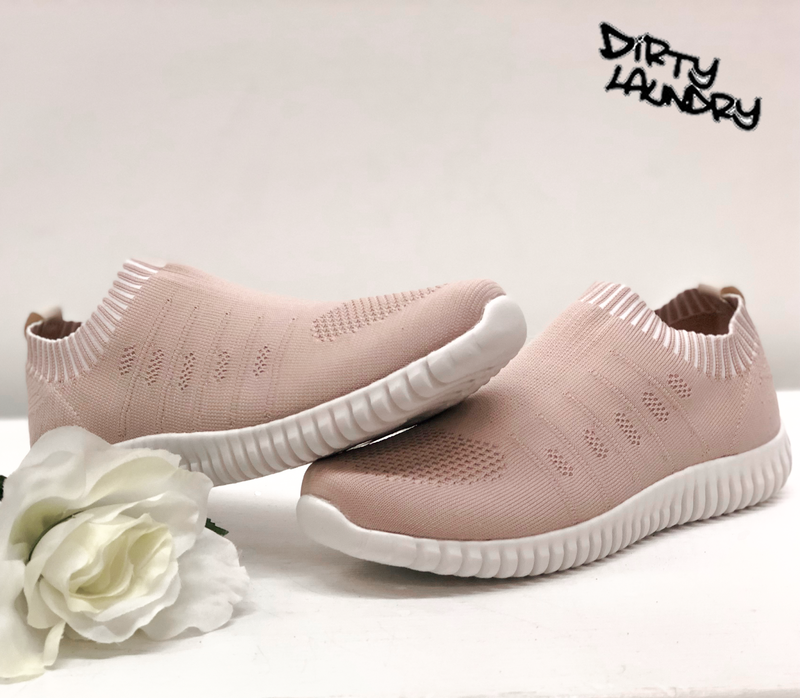 Connect with us on Facebook, Instagram, and Twitter for more daily shoe news! Always feel free to contact us if you have questions or concerns.